Tom Brady has dropped his appeal against his four-game suspension in wake of ‘deflategate’. 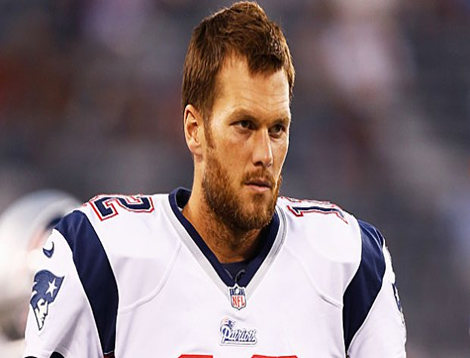 On Wednesday, the 2nd US Circuit Court of Appeals in New York announced it would not reconsider its April 25 decision to reinstate Brady’s ban by the National Football League over deflated footballs. The 38-year-old New England Patriots quarterback had one final option left to him but he has opted against asking the US Supreme Court to consider his case. In a statement on Facebook on Friday, Brady said: “I’m very grateful for the overwhelming support I’ve received from [Patriots owner] Mr Kraft, the Kraft family, coach [Bill] Belichick, my coaches and teammates, the NFLPA, my agents, my loving family and most of all, our fans. “It has been a challenging 18 months and I have made the difficult decision to no longer proceed with the legal process. Brady was suspended after the NFL discovered under-inflated footballs were used in the Patriots’ 45-7 play-off victory over the Indianapolis Colts in January 2015. The win sent the Patriots to the Super Bowl, where they defeated the Seattle Seahawks, giving Brady his fourth title. The NFL penalised Brady, twice named the league’s Most Valuable Player, after a lawyer it hired to investigate the incident said the quarterback was “generally aware” two Patriots employees had conspired to deflate the balls, which could make them easier to grip. Brady has denied any involvement. NFL commissioner Roger Goodell upheld the suspension in July 2015. The players’ union then filed a lawsuit on Brady’s behalf, saying Goodell had overstepped his authority. A federal judge in New York agreed and threw out Brady’s suspension, prompting the NFL to file its successful appeal with the 2nd Circuit.